* A skeptical reader might suspect that the quotes below were cherry-picked out of context and arranged for propaganda purposes. This is an understandable, though mistaken suspicion. We therefore invite you, after 'the debate', to also read 'The British Mad Dog' and 'The Bad War' . 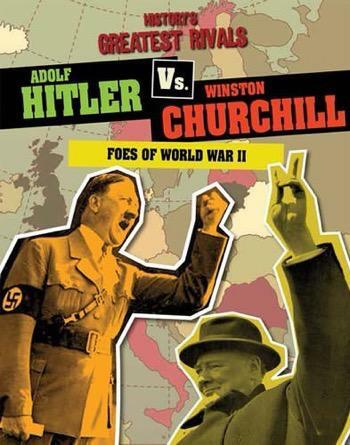 Both works will provide a full and truthful explanation of Hitler, Churchill and World War II. We cannot tell whether Hitler will be the man who will once again let loose upon the world another war in which civilization will irretrievably succumb... It is on this mystery of the future that history will pronounce Hitler either a monster or a hero. I appeal to reason in international affairs. I want to show that the idea of eternal enmity is wrong. We are not hereditary enemies. There can never be friendship between the British democracy and the Nazi Power. Which cheers its onward course by a barbarous paganism, which vaunts the spirit of aggression and conquest, which derives strength and perverted pleasure from persecution, and uses, as we have seen, with pitiless brutality the threat of murderous force. At no time and in no place have I ever acted contrary to British interests … I believe even today that there can only be real peace in Europe and throughout the world if Germany and England come to an understanding. I would say to the House as I said to those who have joined this government: I have nothing to offer but blood, toil, tears and sweat. We have before us an ordeal of the most grievous kind. We have before us many, many long months of struggle and of suffering. In this hour I feel it to be my duty before my own conscience to appeal once more to reason and common sense, in Great Britain as much as elsewhere. ... I can see no reason why this war must go on. Time and time again I have offered friendship, and if necessary closest cooperation, to England. But love cannot be offered from one side only. It must be met with reciprocation by the other side. Germany is not pursuing any interests in the West. You ask, what is our aim? I can answer in one word. It is victory. Victory at all costs. Victory in spite of all terrors. Victory, however long and hard the road may be, for without victory there is no survival. All of my peace overtures have been rejected and war was declared on us.... The German people has no hatred, no inimical feeling toward the English or French people. There is one thing that will bring Hitler down, and that is an absolutely devastating exterminating attack by very heavy bombers from this country upon the Nazi homeland. Again and again I uttered these warnings against this specific type of aerial warfare, and I did so for over three and a half months. That these warnings failed to impress Mr. Churchill does not surprise me in the least. For what does this man care for the lives of others? What does he care for culture or for architecture? And even if this Island or a large part of it were subjugated and starving, then our Empire beyond the seas, armed and guarded by the British Fleet, would carry on the struggle, until, in God's good time, the New World (United States), with all its power and might, steps forth to the rescue and the liberation of the old. (Roosevelt) is resolved to take over, as safely and securely as possible, the British Empire in the moment of its downfall. Since England is no longer in the position to pay cash for all the American deliveries. I have it in me to be a successful soldier. I can visualize great movements and combinations. Churchill is the most bloodthirsty of amateur strategists that history has ever known. We never thought of peace, not even in that year when we were completely isolated and could have made peace without serious detriment to the British Empire. Why should we think of it now, when victory approaches for the three of us? It is untrue that I or anyone else in Germany wanted war in 1939. ... I have made too many offers for the limitation and control of armaments, which posterity will not be cowardly enough always to disregard, for responsibility for the outbreak of this war to be placed on me. Nor have I ever wished that, after the appalling First World War, there would ever be a second against either England or America. I want proposals for "basting the Germans on their retreat from Breslau." Centuries will go by, but from the ruins of our towns and monuments the hatred of those ultimately responsible will always grow anew against the people whom we have to thank for all this: international Jewry and its henchmen (Churchill, FDR). 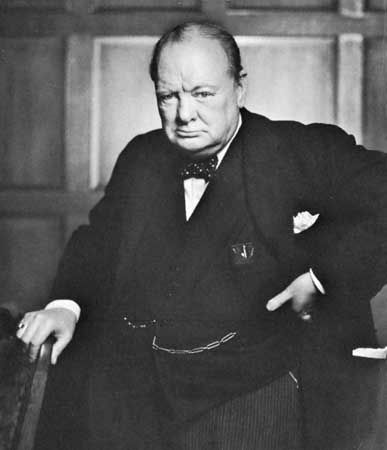 The gift Mr. Churchill possesses is the gift to lie with a pious expression on his face and to distort the truth until finally glorious victories are made out of the most terrible defeats. I consider that it will be found much better by all Parties to leave the past to history, especially as I propose to write that history. ...despite all setbacks, (this war) will one day go down in history as the most glorious and heroic manifestation of the struggle for existence of a nation. (and Americans) of his era, he was also an unabashed racist. Since 1914, when as a volunteer, I made my modest contribution in the World War which was forced upon the Reich, over thirty years have passed. In these three decades, only love for my people and loyalty to my people have guided me in all my thoughts, actions, and life. They gave me the strength to make the most difficult decisions, such as no mortal has yet had to face. I have exhausted my time, my working energy, and my health in these three decades. It is untrue that I or anybody else in Germany wanted war in 1939. It was desired and instigated exclusively by those international statesmen who were either of Jewish origin or working for Jewish interests. I have made so many offers for the reduction and elimination of armaments, which posterity cannot explain away for all eternity, that the responsibility for the outbreak of this war cannot rest on me. Furthermore, I never desired that after the first terrible World War a second war should arise against England or even against America. Centuries may pass, but out of the ruins of our cities and monuments of art there will arise anew the hatred for the people who alone are ultimately responsible: International Jewry and its helpers! As late as three days before the outbreak of the German-Polish War, I proposed to the British Ambassador in Berlin a solution for the German-Polish problem -- similar to the problem of the Saar area, under international control. This offer cannot be explained away, either. It was only rejected because the responsible circles in English politics wanted the war, partly in the expectation of business advantages, partly driven by propaganda promoted by international Jewry. But I left no doubt about the fact that if the peoples of Europe were again only regarded as so many packages of stock shares by these international money and finance conspirators, then that race, too, which is the truly guilty party in this murderous struggle would also have to be held to account: the Jews! I further left no doubt that this time we would not permit millions of European children of Aryan descent to die of hunger, nor millions of grown-up men to suffer death, nor hundreds of thousands of women and children to be burned and bombed to death in their cities, without the truly guilty party having to atone for its guilt, even if through more humane means. After six years of struggle, which in spite of all reverses will go down in history as the most glorious and most courageous manifestation of a people's will to live. I cannot separate myself from the city which is the capital of this Reich. Because our forces are too few to permit any further resistance against the enemy's assaults, and because individual resistance is rendered valueless by blinded and characterless scoundrels, I desire to share the fate that millions of others have taken upon themselves, in that I shall remain in this city. Furthermore, I do not want to fall into the hands of enemies who for the delectation of the hate-riddled masses require a new spectacle promoted by the Jews. I have therefore resolved to remain in Berlin and there to choose death of my own will at the very moment when, as I believe, the seat of the Fuehrer and Chancellor can no longer be defended. I die with a joyful heart in the awareness the immeasurable deeds and achievements of our soldiers at the front, of our women at home, the achievements of our peasants and workers, and the contribution, unique in history, of our youth, which bears my name. It goes without saying that I thank them all from the bottom of my heart and that it is also my desire that in spite of everything they should not give up the struggle, but continue fighting wherever they may be, faithful to the great Clausewitz, against the enemies of the Fatherland. From the sacrifices of our soldiers and from my own comradeship with them, there will come in one way or another into German history the seed of a brilliant renaissance of the National Socialist movement and thus the realization of a true national community. Many very brave men and women have resolved to link their lives to mine to the very end. I have requested them, and finally ordered them, not to do so, but instead to take part in the continuing struggle of the nation. I ask the commanders of the army, navy, and air force to strengthen by all possible means the spirit of resistance of our soldiers in the spirit of National Socialism, emphasizing especially that I too, as founder and creator of this movement, have preferred death to cowardly flight or even capitulation. May it be one day a part of the code of honor; as it is already in the navy, that the surrender of an area or of a town is impossible, and above all in this respect the leaders should give a shining example of faithful devotion to duty unto death. 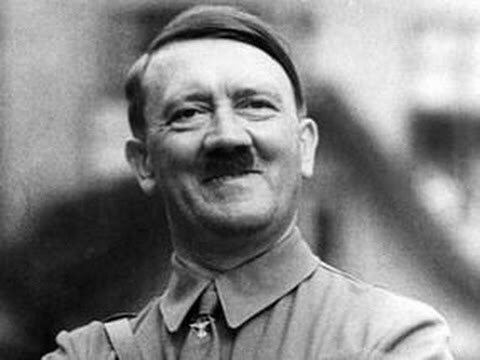 Several brave men have joined me by their own free will and do not wish to leave the capital of the Reich under any circumstances, but on the contrary are willing to perish with me here. Yet I must ask them to obey my request, and in this instance place the interests of the nation above their own feelings. Through their work and loyalty they will remain just as close to me as companions after my death, just as I hope that my spirit will remain amongst them and will always accompany them. Let them be hard, but never unjust; above all, let them never allow fear to counsel their actions, but may they place the honor of the nation above everything on this earth. Finally, may they be conscious of the fact that our task of building a National Socialist state represents the labor of the coming centuries, and this places every single person under an obligation always to serve the common interest and to subordinate his own interests. I demand of all Germans, all National Socialists, men and women and all soldiers of the Armed Forces, that they remain faithful and obedient to the new government and to their President unto death. Above all, I charge the leadership of the nation and their followers with the strict observance of the racial laws and with merciless resistance against the universal poisoners of all peoples, international Jewry. Given at Berlin, 29 April 1945, 4 AM.